Indoor life and poor nutrition condemned the children of Florence's rulers to bone disease. As the wealthy rulers of Tuscany and patrons of Leonardo da Vinci and Galileo, the Medicis were the 'first family' of the Italian Renaissance. But all their wealth could not buy good health for their young sons and daughters. A studyhttp://dx.doi.org/10.1002/oa.2324 (2013). ">1 of the skeletons of nine Medici children born in the sixteenth century shows that they had rickets, a vitamin D deficiency that causes bones to become soft and even deformed. What’s more, the disease was partially a result of the privileged upbringing these children enjoyed, which in particular led them to stay mostly indoors. Rickets is usually associated with poverty and living in heavily polluted, close-built cities where there is little exposure to sunlight. But the Medici kids, ranging in age from newborn to 5 years old, “belonged to a high social class. We expect these children to be well-nourished”, says palaeopathologist Valentina Giuffra of the University of Pisa, a co-author of the study, which was published last month in the International Journal of Osteoarchaeologyhttp://dx.doi.org/10.1002/oa.2324 (2013).">1. So “it is surprising to find this,” she says. The resting place of the children's bodies reflects their social standing — all were found at Florence’s famed Basilica of San Lorenzo. In 2004, researchers pried what they thought was an ornamental marble disc out of the cathedral’s floor, and discovered that it was actually a trap door leading to a crypt containing eight of the nine skeletons. The ninth was found in a nearby tomb. 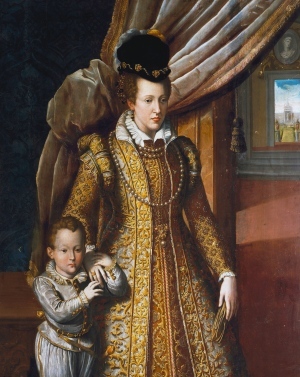 Lack of sun exposure may have contributed to the rickets suffered in early childhood by Medici heir don Filippino, shown here with his mother Joanna of Austria (1547–1578). An examination of the bones, both visually and by X-ray, showed that six of the nine children bore convincing signs of rickets, including curved arm and leg bones — the result of trying to crawl or walk on abnormally soft bones. One of the children, Filippo (1577–1582), known as don Filippino, had a slightly deformed skull, which is depicted in a contemporary portrait (see image at left). The study pinpoints rickets as a cause of his condition. Rickets is easily prevented by eating foods such as eggs and cheese, and by spending short amounts of time exposed to sunlight, which triggers vitamin D production. To understand why the Medici children had this avoidable illness, the researchers analysed the nitrogen isotopes found in bone collagen, which reflect the main source of protein in the diet. They found that most of the children were not weaned until they were 2, in keeping with Renaissance custom. Historical texts suggest that at that time, breast milk was supplemented with 'paps' made of soft bread and apples. Neither cereals nor breast milk contain much vitamin D, and fruit contains none. Sixteenth-century thinking also dictated that infants be heavily swaddled. The Medici children, wrapped in many heavy layers and cocooned in large, grand houses, probably didn’t get the same amount of sunlight as their less fortunate peers. Even two Medici newborns showed signs of rickets, although they should have received all the vitamin D they needed before birth from their mothers. The researchers argue that the mothers themselves might have had a low-level vitamin D deficiency because of the heavy makeup worn by high-status women, or as a result of their frequent childbearing. Medici wife Eleanor of Toledo, for example, bore 11 children in 14 years. The new work is “fascinating” because scientists rarely have access to the skeletons of aristocratic children, says anthropologist Mary Lewis at the University of Reading, a specialist in children’s skeletal diseases who was not involved in the study. She says that she is not surprised the Medici heirs had a disease that is more often linked with living in smoggy industralized cities, where air pollution blots out sunlight. “Poor children were living in small houses, and they were running around outside,” she says, but elite parents “wouldn’t have wanted their children to have tans, because that would suggest they had to go outside”. Giuffra, V. et al. Int. J. Osteoarchaeol. http://dx.doi.org/10.1002/oa.2324 (2013). Exploration of the Medici Chapels in the Basilica of San Lorenzo in Florence revealed the burials of nine juvenile members of the Medici family (16th–17th centuries). The estimated children's skeletal ages ranged from newborns to 5-year-olds, showing a series of bone abnormalities, in particular diffuse periosteal new bone and bowing of long bones. 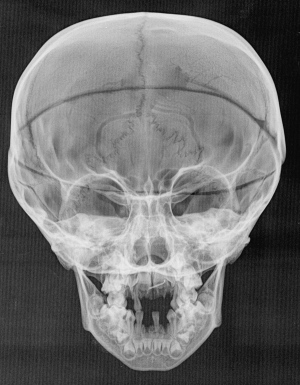 The comparable pathological lesions, including porosity evident on the skull, orbital roofs, costocondral ribs and growth plates between metaphyses and epiphyses, enlargement of metaphyses and sternal rib ends, and long bone bending, are interpreted as the skeletal manifestation of rickets. The diagnosis of a metabolic disease linked to vitamin D deficiency would appear to be unexpected for children brought up at the court of a Renaissance elite class family like the Medici of Florence. Analysis of the historical and social background is particularly helpful to understand the causes of the onset of the disease in this aristocratic group. Documentary sources, supported by 13C and 15N bone collagen analysis, attest that weaning of these children took place when they were around 2 years old. With a prolonged breast-feeding and a delay in introducing solid food in the diet, vitamin D deficiency is expected to rise considerably, in particular if the other main risk factor, namely inadequate sunlight exposition, is associated with this human milk-based diet. Copyright © 2013 John Wiley & Sons, Ltd.